At Unleashed Canine Obedience we offer dog training programs and classes that focus on behavioral and environmental training as well as basic obedience. We help your dog learn that deferring to you for guidance and practicing impulse control leads to a lifetime of freedoms that most dogs don’t get to enjoy. We focus on using your pet’s natural instincts to bring out appropriate behaviors and help your dog choose those behaviors versus ones you don’t want. Imagine taking your dog on an off leash hike through the woods or a walk in the park and your dog returning when you call them to you. If you want to enjoy your dog’s company outside the home without yanking on the leash or yelling involved, our dog training programs will provide you the possibility of having an off-leash reliable pup. 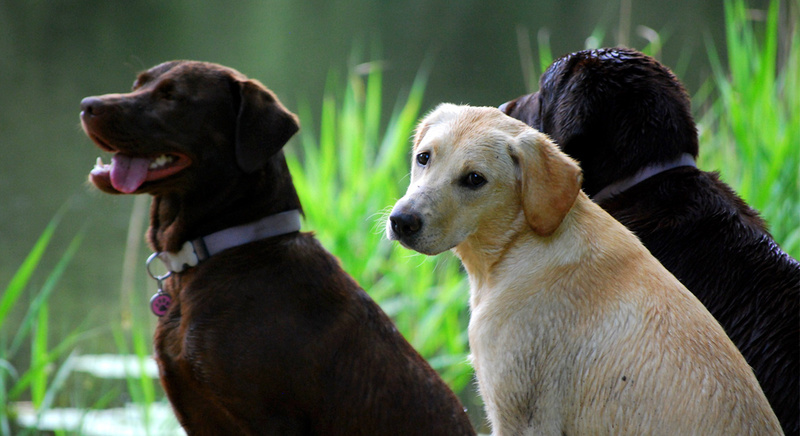 We believe a dog training program should prepare your dog for everyday, real life situations. We don’t think it’s realistic to train a dog in a quiet room with zero distractions – so we get out and about during our training. We go to parks and places with distractions so we can teach your dog what’s expected in every situation you encounter. Our goal is to provide a dog with stability, sociability and plenty of impulse control. Our tailored training programs provide your dog with our highest level of training by our professional dog trainers and behavior specialists. When you sign up for one of our board and train programs, your dog will work, play and learn in a safe environment and will stay with us (day and night) for the duration of the training. Our experienced staff will teach your pup off-leash control, leash walking manners, basic obedience as well as behavior training. We customize our board and train programs to fit with your lifestyle and dog’s needs. We offer One, Two and Three Week programs. Each program is designed for your dog’s training needs as well as your needs as an owner. Each program teaches your dog various commands, leash manners, off-leash reliability and fundamental skills to remain well-mannered and behaved wherever you take them. Click below to learn more about which program is the best fit for you and your dog! Private dog training classes will help address basic obedience as well as any specific behavior issues you may be experiencing with your dog. You will learn how to create a healthy and well-adjusted relationship and how to guide your dog to be we-mannered. Your dog will be reliable and behave in a variety of environments and situations.